Capital Grille is a large American upscale steakhouse chain. The company is owned by Darden Restaurants along with many of the most recognizable American restaurant chains including the Olive Garden, LongHorn Steakhouse, Bahama Breeze, Season 52, Eddie V’s and Yard House. As of the spring of 2014, the Capital Grille chain includes 51 locations across 20 states. The chain was founded in 1990 in Providence, Rode Island. It is a well know fine-dining restaurant that specializes in dry aged steaks, fresh seafood and award winning wines. It offers more than 350 wines from the New World and the Old World that includes some of the most sought-after and highly prized wines. Capital Grille has won numerous awards for excellence including numerous “Best of Awards of Excellence” awards from Wine Spectator magazine and the American Culinary Federation’s “Achieve of Excellence Award”. It is routinely recoznized by Zagat and it is well recognized for its large wine selection and generous pours. The company seeks to build a legacy of consistently delivering great food, excellent service and building a loyal customer base. It strives to create an Exceptionally Distinctive Guest Experience by working together to create and extraordinary atmosphere for guests and employees. Capital Grille hires full and part time management and restaurant employees. It constantly seeks employees who have passion, energy and dedication. Restaurants are always looking for servers, server assistants, bartenders, hosts, line cooks, prep cooks and dishwashers. There are also a number of management opportunities in the restaurant, kitchen and bar. How old do you have to be to work for Capital Grille? Most states have a minimum employment age of 16 or 18 so check the age requirements for your state. Some states only allow minors over the age of 14 to work with a work permit. Capital Grille strives to compensate employees at or below industry rates. Most entry level positions typically pay at or above minimum wage while more skilled positions pay significantly more. Minimum wage in most states is generally around $7.00 or $8.00 per hour. Some states have a lower than minimum wage rate for tipped employees such as bartenders or servers. Work hours vary by location. Restaurants are constantly seeking employees who can work evenings and weekends. The restaurant is generally open from 11:30 am to 10:00 pm on weekdays and it is open later Friday and Saturday nights. Most locations have limited hours on Sundays and are only open from 4:00 to 9:00 pm. Hosts are the customer’s first contact in the restaurant. They greet guests at the door. Duties include engaging in friendly conversation, seating guests in a timely fashion, and introducing guests to their server. During busy times, the hosts manager the restaurants wait list. Servers are responsible for demonstrating genuine hospitality while establishing rapport with guests. They guide guests through the menu and are expected to have an exceptional knowledge of the food, beverages and ingredients. They are also responsible for taking customer orders and work with the restaurant to serve food. Dishwashers are responsible for ensuring that the restaurant is spotless. Primary duties include cleaning dishes, utensils and kitchen pots and pans. They also stock and restock supplies for the cooks and the servers. Actuarys work to estimate financial outcomes by conducting analysis and risk assessments. The work requires a lot of mathematical and statistical analysis skills as well as a good understanding of business and finance principals. Bartenders are responsible for demonstrating genuine hospitality while mixing, garnishing and serving drinks at the bar. Drinks are typically alcoholic but some customer orders are for nonalcoholic drinks. They are also responsible for keeping the bar stocked and clean. Use these questions to help prepare for your interview. Why would you like to work at Capital Grille? This is a very common interview question. Take the time to learn about the restaurant’s culture and so you have a good idea you would like to work there. Don’t just say “I need a job.” Try to say something that you like about the restaurant or the work at the same time. Do you have previous restaurant experience? This is an opportunity for you to talk about similar positions you have held. Talk about experiences you have doing something similar if this will be your first restaurant job. For instance, talk about any cooking, cleaning or customer service jobs that you have had in the past. When are you available to work? Use this question to talk about your daily and weekly schedule availability and when you are available to start. Restaurants need flexible employees who can work on evenings and weekends. Be sure to mention all the times that you can work, not just the times that you want to work. Your schedule might not be ideal at first but it will improve the longer you work there. What are your strengths and weaknesses? This question stumps a lot of people. Think about strengths and weaknesses your have then consider why they are applicable to the position. For instance, highlight your people skills if you are applying for a Server position or your excellent attention to detail if you are applying for a Dishwasher position. Do you consider yourself a leader? Be honest and explain your answer in a positive way. If you feel you are a leader say that you are self-starter with the ability to motivate others. If you don’t feel you are a leader ,tell them that you are dedicated team member who is great at following procedures. The Capitol Grille application process helps hiring managers determine if you will be a productive member of their team and if you will fit in with their culture. The hiring process will generally be casual for most Capitol Grille jobs but more formal that casual dining jobs since it is an upscale atmosphere. 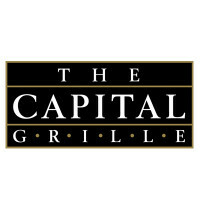 Find Capitol Grille Jobs online, download an application form or ask about openings at your neighborhood Capitol Grille. Always demonstrate a positive attitude toward the employees and managers. Dress in clean and appropriate clothing even if you are just there to ask for an application. In general, casual clothing is appropriate but be sure your clothes are clean and you are well groomed. A t-shirt and jeans is ok as long as the jeans aren’t torn and the shirt doesn’t have anything offensive on it. Plan ahead for the interview spend some time preparing for it. Bring a list of skills and experiences you want to highlight that you can refer to during the interview. Do a little homework and learn about the company and the position. Prepare any questions you have ahead of time so you remember to ask them. Some hiring managers will offer you the job at the end of the interview but sometimes you will need to wait for an answer. Be polite and gracious even if you don’t get the job. Be sure to thank the interviewer for considering you for the opportunity and ask them if there are any other job openings they would consider you for. Sometimes it’s just a matter of timing and you will get the next opening. How to apply for Sizzler online? Follow the links below, to find a Sizzler job application online, obtain a printable application for Sizzler, and to apply for jobs at Sizzler. Old Country Buffet: Old Country Buffet offers opportunities for both, beginners and experienced roles. Brio Tuscan Grille: Use the Brio Tuscan Grille job application to apply here. Shoney’s: Checkout the application page for work at Shoney’s. Gold Star Chili: See this page for jobs at Gold Star Chili. Nando’s: Visit the job application for Nando’s to apply today.